﻿ How a transceiver influences the Cloud? It’s often to see the picture below in the market of optic module, which shows the application of modules, deployed on cloud for the majorities quantity. Here, let’s talk about Cloud. 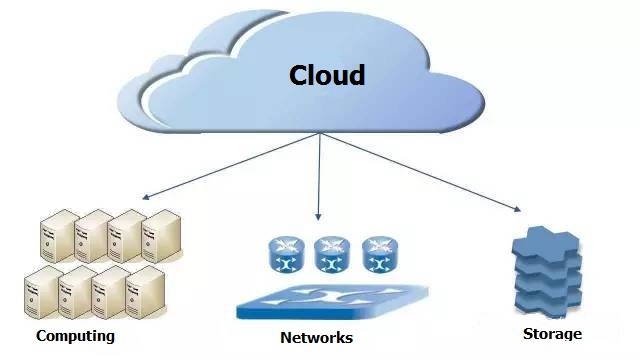 The Cloud we mentioned now, is evolved slowly from Cloud Computing in 1980’s. 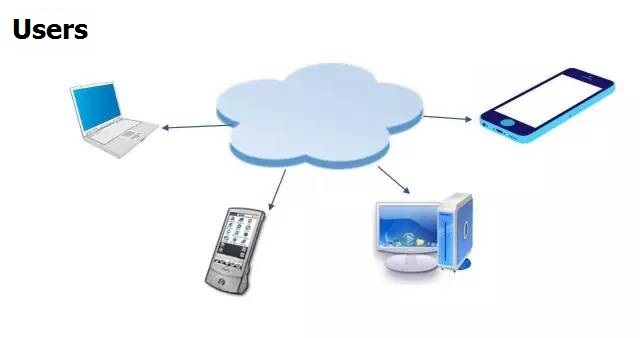 To be simply, cloud is put the data on internet, it’s convenient, to get anytime you need. There are kinds of cloud. Broadly speaking cloud service has US $131.7 billion market size in the year of 2013; it’s US $240 billion in 2017. From the growing, we can notice that cloud is a big market. As for the market of transceivers, we have to see how transceivers are been related with the cloud. And us, users. Users are the basic reason of the existence of cloud. If you are free and interested, you are suggested to read the top 100 enterprises of cloud computing, like Amazon, Microsoft, Google etc. In China, there are famous Alibaba Cloud, Tencent Cloud, government cloud and more. From the geographical point of view, the data centers in all continents are the core facilities to support the users. In data centers, transceivers are everywhere. It is already the most widely applied product. Today’s data centers are basically fiber-optic interconnected. Thus, there is no way to run a data center without optical modules. In a medium-sized data center, it needs thousands of equipments. To achieve the full interconnection of those devices, at least thousands of optical modules are required. Although the price of a single module is not high, but the quantity is quite large. In this case, the overall cost of optical modules for a data center is not low, sometimes it even more than the general amount of network equipment. Purple lines are trunks or cables submarine. 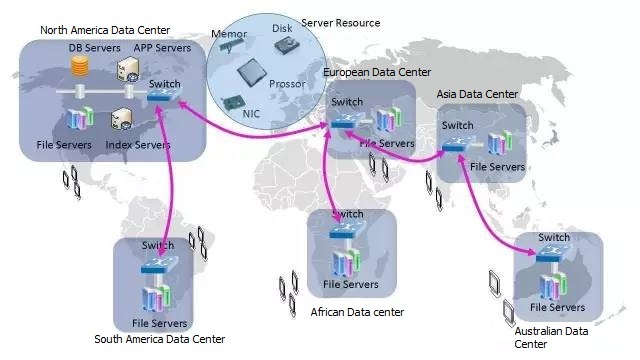 Once we take away the background world map and highlight the data centers, now we can conclude that transceivers in cloud are mainly applied in data center. The global transceiver market has grown rapidly in the last five years. As early as 2010, the global transceiver market sales revenue is only US $2.8 billion, and by 2014, it’s more than US $4.1 billion, by 2019 it’s expected to be increased to US $6.6 billion. Optical transceiver is developing toward ultra high frequency, ultra high speed and ultra large capacity. It is estimated that by 2017, the global optical module revenue of 10G / 40G / 100G will reach US $3.1 billion, and in the overall optical module market share will exceed 55%. Among them, 40G optical module and 100G optical module compound annual growth rate will be as high as 17% and 36% respectively. It is not easy to provide optical module that is reliable, consistent with the requirements. In recent years, other aspects of the data center technology are also developing, the requirements of the optical module is also getting higher and higher. The current interfaces of the server are switch from 1G to 10G, and aggregate switches are from 10G to 40G / 100G. 25G and 400G standards are also being developed. Once the standards confirmed, the specific design and development of optical modules will also be launched, which will likely further enhance the data center's network bandwidth capabilities. Data center power consumption is very large, and the calculating power consumption is a great waste of heat. If a 10G optical module power consumption is 3W, then only optical module power consumption of a 48 Gigabit switch board will reach 144W; if a network card installed with 16 switch boards, it’s 2300W, which is equivalent to 23pcs 100W bulbs. That’s a huge power consumption. Although the speed of the optical module is getting higher and higher, but it can be designed to become smaller and smaller in size. The previous GBIC optical module is only gigabit in rate, but its size is still larger than the current 10G. the previous 100G optical module port is nearly 10cm in length, and now the size of 100G transceiver and 10G transceiver is nearly no difference. 48x 100G ports can be displayed in one chassis. 100G optical module prices are too high, to a certain extent, which inhibited some of the market demand. Many data centers are prohibitive to the high price of 100G optical modules, because it’s not only necessary to consider the optical module, but also it’s supporting device. Put all those re-investment together, it will not be a small expanse. If the cost of 100G transceiver can be significantly reduced, 100G transceiver will soon be popular in the data center. Currently it’s really rare of data centers that able to deploy 100G interconnection. So, to provide high-quality optical module is by no means an easy task. Continuous research is needed, to enhance the production of optical modules. In conclusion, a good optical module supplier is vital for the link security and stability of data center. Fiberland is a leading factory specialized in developing high-speed compatible optical modules and cables. All products shipped out are tested 100% on original brand equipments for performance and application, which is rare company can realize in this industry. Fiberland's goal is to provide cost effective and quality assurance solutions for HPC and data centers.